Siem Reap (FN), Jan. 16 - During the talks with Cambodian Prime Minister Hun Sen, the Japanese delegation to Asia-Pacific Parliamentary Forum (APFF) led by Japanese Senator Takuji Yanagimoto said that they noticed Cambodia's rapid economic growth and pledged to continue assuring the kingdom, Eang Sophalleth, personal secretary to the Premier, told press on Wednesday. 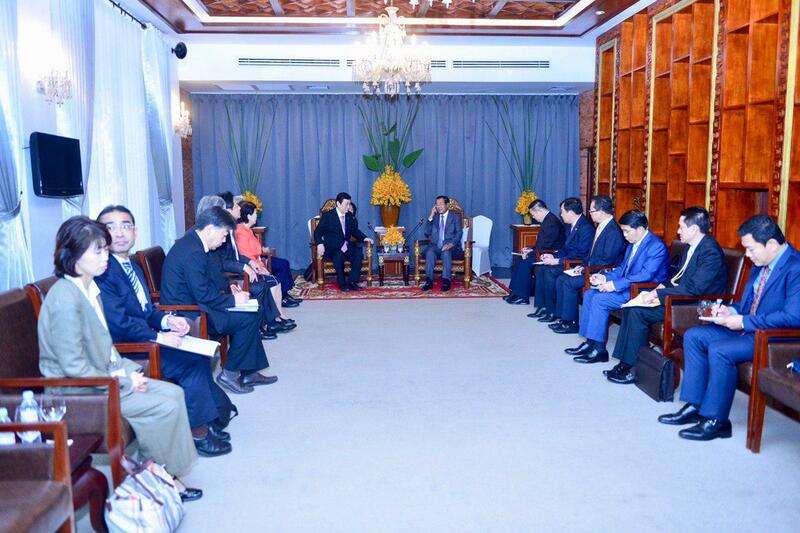 Takuji expressed congratulations to Cambodia for succesfully hosting 27th APPF and Asian Cultural Council (ACC). 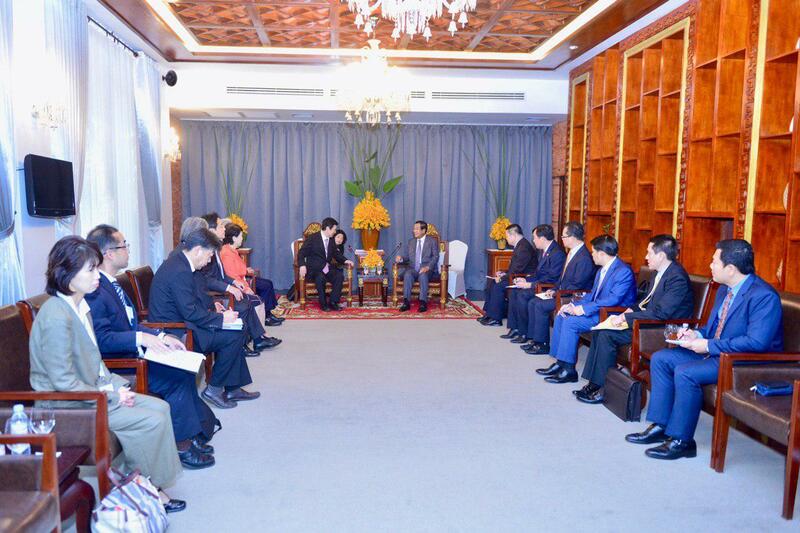 He also informed Prime Minister Hun Sen that more and more Japanese investors came to Cambodia, and that people-to-people ties are closer due to the all-level exchanges. 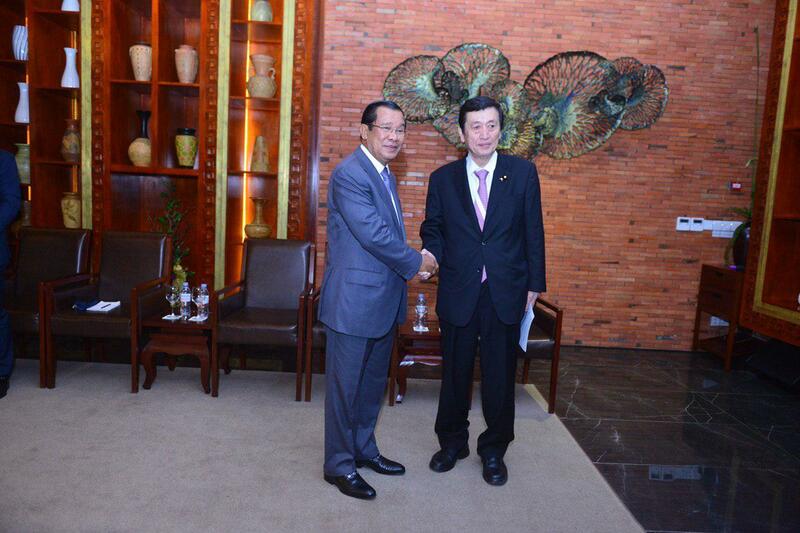 Premier Hun Sen thanked Takuji Yanagimoto and all the delegates for attending the APPF. He added that Japan has played an important role in seeking peace for the country by sending its first-ever peacekeeping force to Cambodia. After 1993 election, Japan has continued to assist Cambodia, especially in infrastructure and mine clearance. 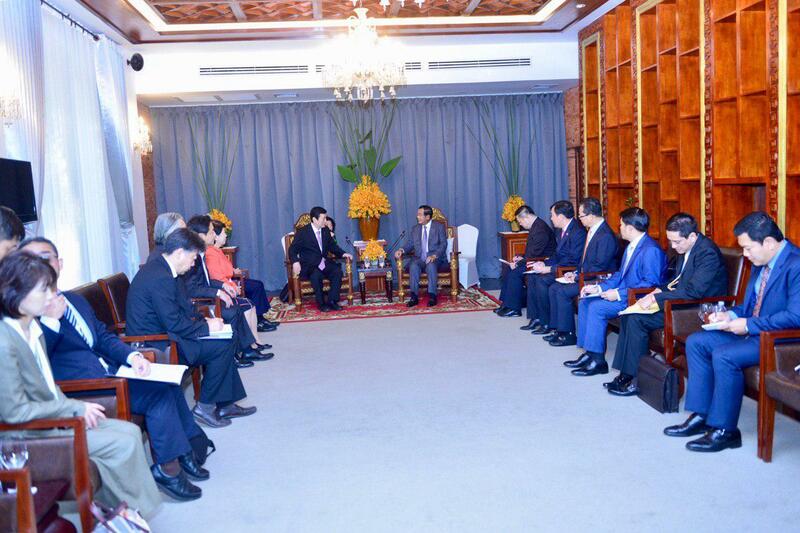 Both pledged to further promote and strengthen the relations between the two countries. In an exclusive interview with Kyodo News last year in Phnom Penh, Prime Minister Hun Sen said, "Japan is a model of democracy that we should learn from and the only suitable country that we could learn from." "I always look at a number of developed countries in the region and those around the globe so that I can learn from them the political and economic aspects. Japan, in particular, always retains a strong economy and political stability and is a model of real democracy," he said. 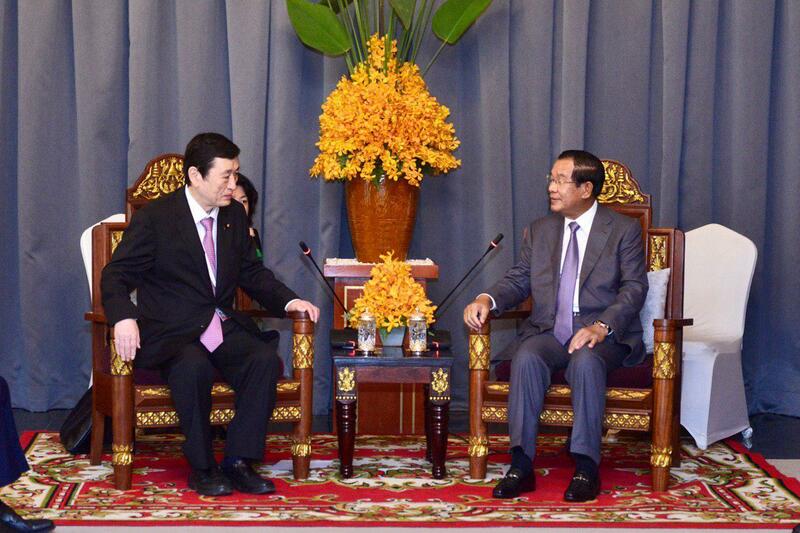 Prime Minister continued that Cambodia is willing to promote the Cambodia-Japan relationship to "Comprehensive Strategic Cooperation Partnership", an equivalent to a relationship with the Cambodia-China that was advanced in 2010. In 2013, Cambodia and Japan entered a "strategic partnership" and that this year marks the 65th anniversary of diplomatic relations between Japan and Cambodia. 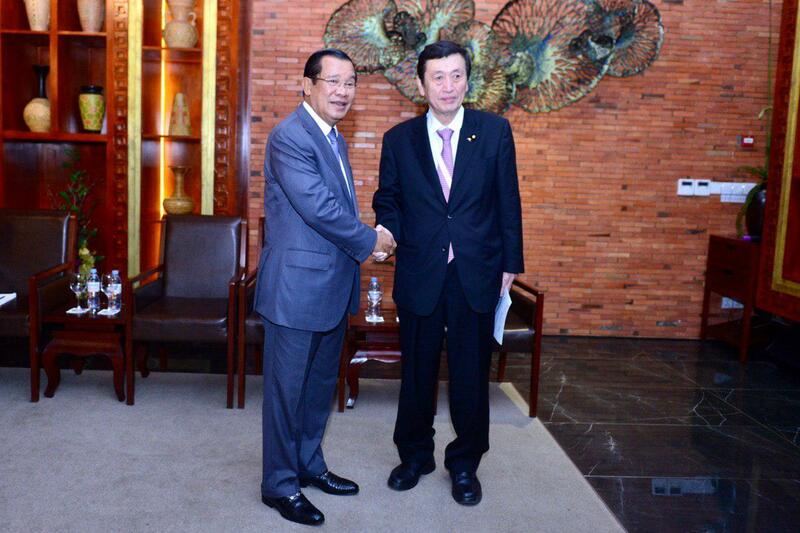 In the interview, the Strongman of Cambodia highly appreciated Japan for their kind assistance. “Cambodia profoundly thanks Japan for the major contributions to Cambodia’s peace and for the technical aids, grant aids, and concessional loans to rehabilitate and develop Cambodian socioeconomics, including infrastructure, health, education, and human resource building,” he said. During his five-day stay in Japan, Prime Minister Hun Sen held a bilateral meeting with Japanese Prime Minister Shinzo Abe at which the two discussed on economic, political, and social issues, focusing on strengthening the two countries' relations, promoting trade, investment, and tourism. Both also underlined the importance of promoting cooperation in the context of a strong “multilateralism” framework in order to promote peace, stability and prosperity of the region and the world.